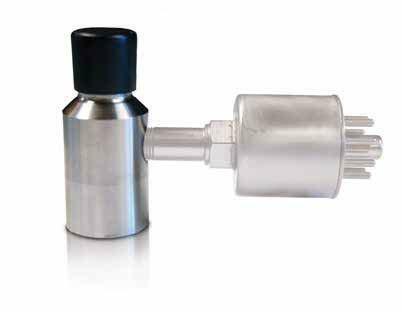 Cryocomp has added an integrated port on the side of the 1/2" and 1" standard seal-off valves for the purpose of installing a vacuum sensor to read the vacuum at any time after the evacuation is complete and the system is sealed off. This capability is especially important since it eliminates the need for drilling and welding on the system, which in turn eliminates potential leak paths and saves time during fabrication. 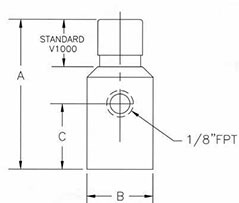 The operating specifications are the same as the base valve.